Swarm Blog: Vocibo Brings a World of Words to Android! 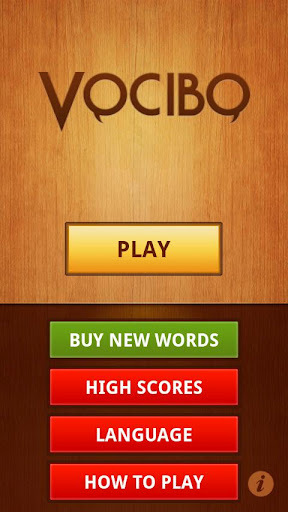 Vocibo Brings a World of Words to Android! 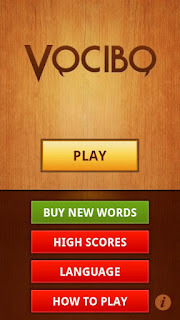 Vocibo is an educational game with a unique formula that helps players quickly and easily expand their vocabulary. 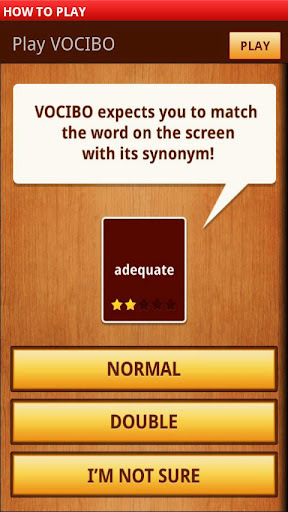 The game simply presents players with words and then asks them to find the synonym. However, due to its dynamically customized word selection patterns, players are more likely to retain the new words they're learning. Players also have the option to check definitions in German, Portuguese, Turkish, French, Spanish, and Italian. It's a great tool for those preparing for a variety of standard exams such as the TOEFL, IELTS, PROFICIENCY, KDPS, SAT, ACT, GRE, GMAT, etc. The Vocibo learning platform contains more than 2,500 frequently used words that span Intermediate through Advanced levels of the English language. The Vocibo educational Android game also has a scoring system that enables players to earn points and show off their high scores on global leaderboards, powered by Swarm. We highly recommend this game for people of all ages and backgrounds that wish to improve their grasp of the English language. Whether you're studying for an exam or you simply enjoy learning new words, then you should check out Vocibo. For the low low price of free, it's a lot cheaper than those expensive study guides and it packs just as much great content. What are you waiting for? Download Vocibo and start improving your English today!